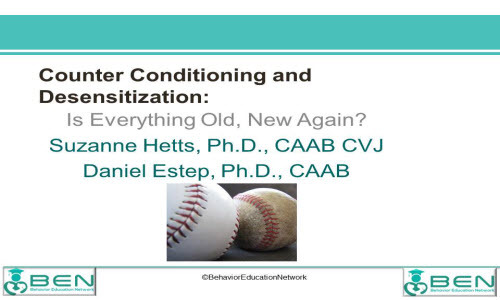 You'll learn about genetic effects on behavior, “drive theory”, social dominance, communication and body language, guilt and jealousy in dogs, temperament and personality, leadership, social bonding and MUCH MUCH MORE! Improve your ability to use these techniques correctly, AND come away with a better understanding of the science behind these techniques, allowing you to better trouble shoot their use. 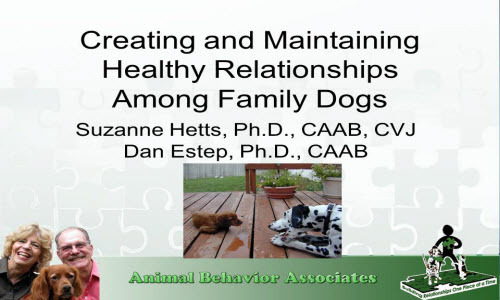 Discover the essential pillars of healthy family dog relationships, how to avoid the BIG mistakes that cause family dogs to not get along and why "dominance" is not the foundation of good dog-dog relationships. Discover myths about the causes of home alone problems, how to resolve them, and some ideas about adding premium ancillary services that could be life-savers for your clients. 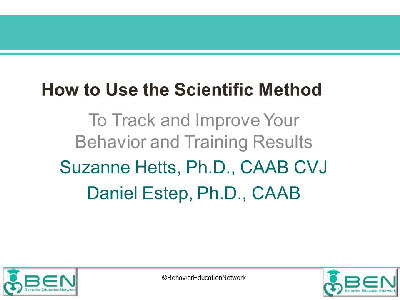 Learn how to be more scientific and systematic in solving behavior problems, that can improve compliance and help you know what to do when your plans aren’t working. Pet Pro Webinars serves pet professionals and dedicated pet owners. 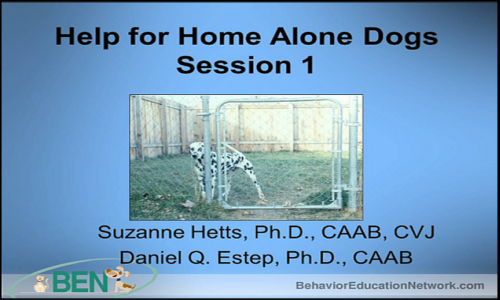 We provide affordable, accessible science based education about applied animal behavior (ethology) and applied animal learning so you can more effectively prevent, manage, and resolve behavior problems in dogs and cats. In addition, we teach the skills needed to have a professional, credible behavior and training business that is well respected by colleagues and clients. 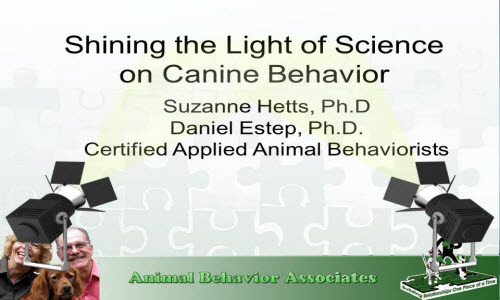 Courses are instructed by us - Dr. Suzanne Hetts and Dr. Dan Estep, Certified Applied Animal Behaviorists - and instructors we hand-pick based on their educational credentials, experience, reputation and professional standing. Both LIVE and On Demand Courses are available. For live classes, you will watch the presentation on your computer screen and choose whether you want to hear the audio by calling in your telephone or listening through your computer speakers. 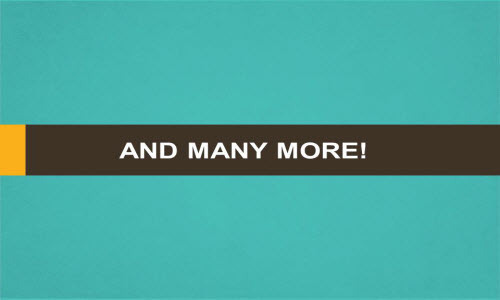 All On Demand courses are streamed through your computer. Click on the appropriate navigation tab above to see the current listings. 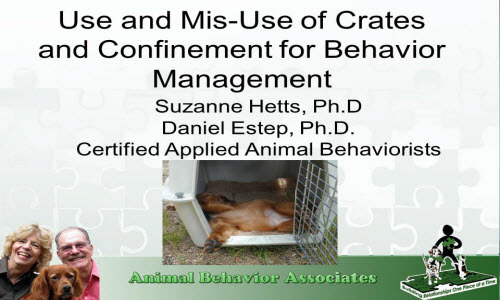 Contact us at Info@AnimalBehaviorAssociates.com or 303-932-9095.